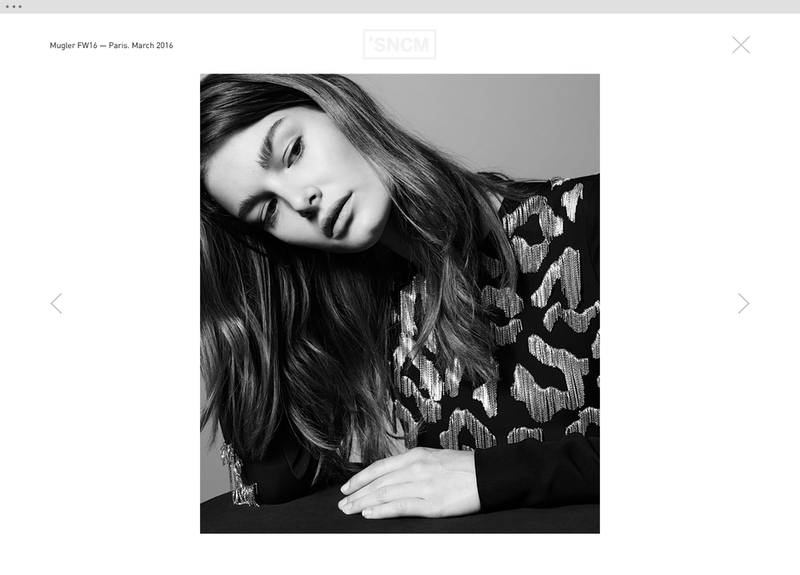 Supernova is a Cape Town-based creative artist management agency representing photographers, stylists and hair & makeup artists. We were commissioned to rebrand the two year old agency into a sleek, internationally-competitive company with a clean aesthetic and a serious online presence. 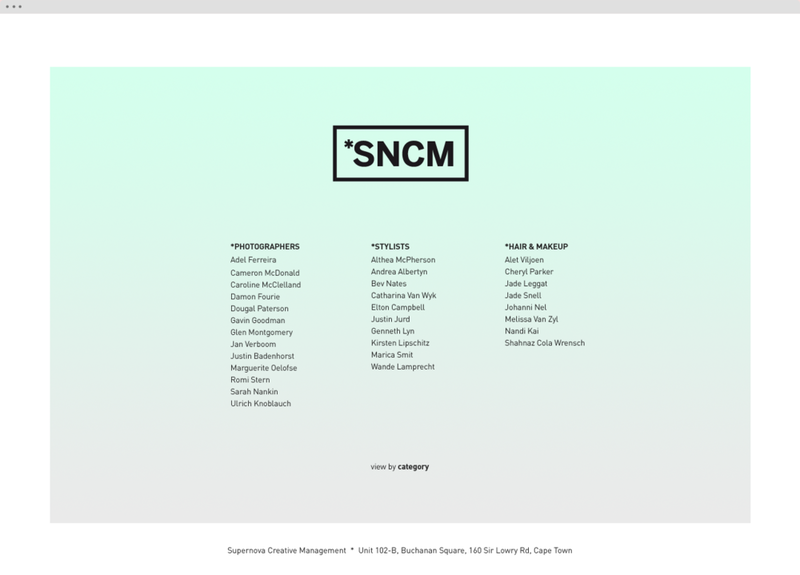 We abbreviated the long-winded name "Supernova Creative Management" to "SNCM" and replaced the purple star previously used with an asterisk that can be typed on any keyboard. We selected a thick, modern typeface and further used the asterisk in the visual identity system to denote categories. 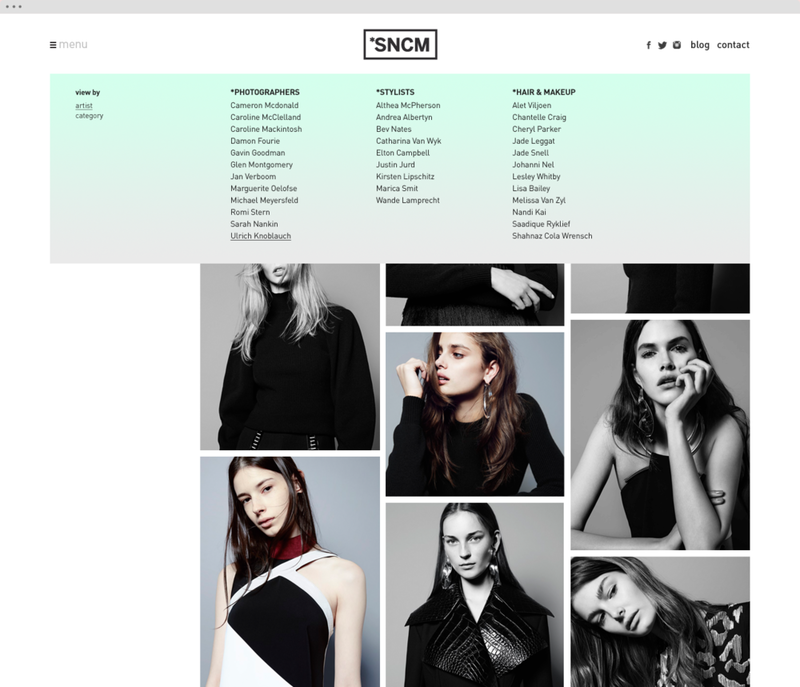 We designed the website landing page to immediately announce every artist the agency represents. An artist's best image fills the screen on name rollOver. A gradient box sits behind the 3 columns framing the image space and creating a thick white border around the focal area. All elements are controlled via the custom content management system. Fully responsive, the 3 column image grid expands to 4 columns on wide screens and contracts to 1 column on mobile. Individual artists and categories have the ability to group images in albums and use the same display grid system. The viewer also has the option to view albums and/or entire artist portfolios in a single image display view.